When you're looking to buy a home, bad credit can do more than just make it harder to get a mortgage loan. It can make your life more difficult and costly in ways that may never have occurred to you. Your mortgage may cost you more, assuming you can qualify in the first place. You may need to make a bigger down payment. You'll pay more for private mortgage insurance if you put down less than 20 percent on your home loan. And you'll likely pay more for homeowner's insurance as well. And that's just getting started. In most cases, bad credit by itself won't prevent you from getting a mortgage. Some major lenders will approve FHA home loans for borrowers with FICO credit scores as low as 580, and the FHA's own guidelines allow scores even lower than that. Some lenders will even disregard credit scores entirely, and qualify a borrower strictly on other factors, such as income, financial assets and the value of the property. But finding a lender who will approve a mortgage with a credit score that low can be a challenge. Lenders often have their guidelines that require higher credit scores than what the FHA will technically allow. 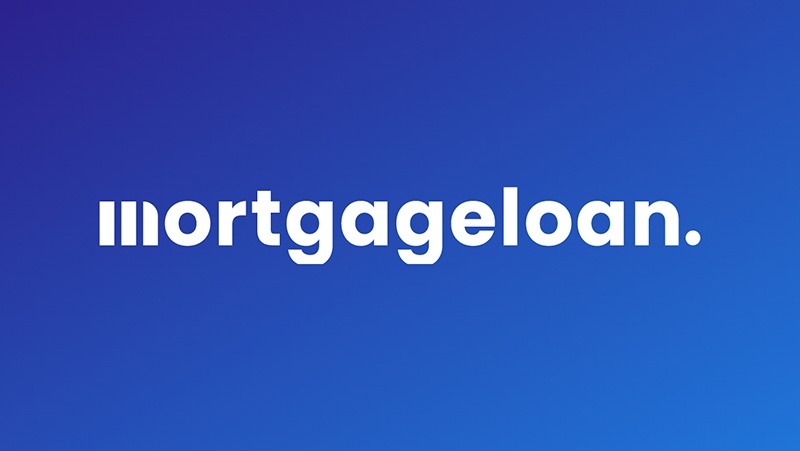 And while nonagency lenders that go outside the usual structure of mortgages backed by entities like Fannie Mae, Freddie Mac or the FHA will sometimes base approvals on criteria other than credit scores, such lenders are relatively few and far between. You can readily get approved for a mortgage with a FICO credit score in the mid-600s. But you'll end up paying a significantly higher mortgage rate if your home loan if backed by Fannie Mae or Freddie Mac, as are most of the residential mortgages in this country. Fannie Mae and Freddie Mac use what are called "loan level price adjustments" to gradually increase the mortgage rate they charge to borrowers with lower credit scores. A borrower with a score in the high 600s may pay a rate a full percentage point higher than a borrower with a "perfect" score of 740 or above. Borrowers with a score in the 620-639 range may pay an additional 3 percentage points on their rate. This is a major reason why borrowers with lower credit scores often opt for FHA loans, which don't use loan-level price adjustments. But FHA mortgages come with additional costs of their own, explained further below. A lower credit score can also mean that you'll need to make a larger down payment to qualify for a mortgage. While both Fannie Mae and Freddie Mac will allow down payments of as little as 3 percent, that option is strictly for borrowers with excellent credit. Borrowers with weak credit may be required to put down 20 percent or more. While it's true that FHA loans require only 3.5 percent down from most borrowers, even there the requirement increases to 10 percent down for borrowers with credit scores of 580 or below. Most borrowers know that you have to pay additional fees for mortgage insurance if you put less than 20 percent down on a mortgage. But what many don't realize is that premiums for private mortgage insurance are also tied to your credit score, just as mortgage rates are. A borrower with excellent credit who puts 5-10 percent down may pay an annual premium of about 0.4-0.5 percent of the loan amount for private mortgage insurance on a 30-year mortgage. For a credit score under 680 however, that premium can jump an additional three-tenths to one-half percent. As mentioned above, the FHA doesn't charge higher rates for lower credit scores the way Fannie Mae and Freddie Mac do. However, mortgage insurance premiums on FHA loans tend to be more costly over the long run. So your overall costs are still higher than what a borrower with excellent credit would pay. FHA loans charge a one-time mortgage insurance premium of 1.75 percent at the time the loan is taken out, plus an annual premium of 0.80-0.85 percent on 30-year loans. In addition, you have to carry FHA mortgage insurance for the life of the loan if you put less than 10 percent down; private mortgage insurance on Fannie/Freddie loans can be canceled once you reach 20 percent equity. So that has to be taken into account when figuring the cost of poor credit. A lower credit score will not only increase what you pay for mortgage insurance, it will boost what you pay for homeowners' insurance as well. And you can't get a mortgage without homeowner's insurance as well. The cost you'll pay will vary from state to state, but on average a borrower with poor credit will pay nearly twice as much for homeowner's insurance as a borrower with excellent credit will. A borrower with merely average credit will likely pay more than half again as much. Not only that, but poor credit means you'll also pay more for auto insurance as well, adding to the financial bite. Poor credit can boost your move-in costs as well. Many utilities will require that borrowers with a poor payment history pay a deposit before they'll provide electrical, sewage, water, trash or other necessary services. Having poor credit can also drive up the interest rate you pay for credit cards, auto loans and other types of credit. This means you'll need to pay more each month to cover those debt payments, which increases your debt-to-income level and reduces the money you have available each month to pay a mortgage, making it that much harder to qualify for a home loan. Finally, many employers will check the credit scores of potential hires as a way of assessing how responsible they are in managing their affairs. Your credit score may also be checked if you're applying to obtain a business franchise or seeking to join a professional organization. So poor credit can be an obstacle to your career advancement, which in turn can be an obstacle to earning the income you need to buy a home or step up to a nicer dwelling than the one you have now. Bad credit can be a personal and financial impediment in so many ways beyond simply getting a mortgage. That's why it's so important to keep an eye on your credit and manage your finances in a way that protects your credit rating.